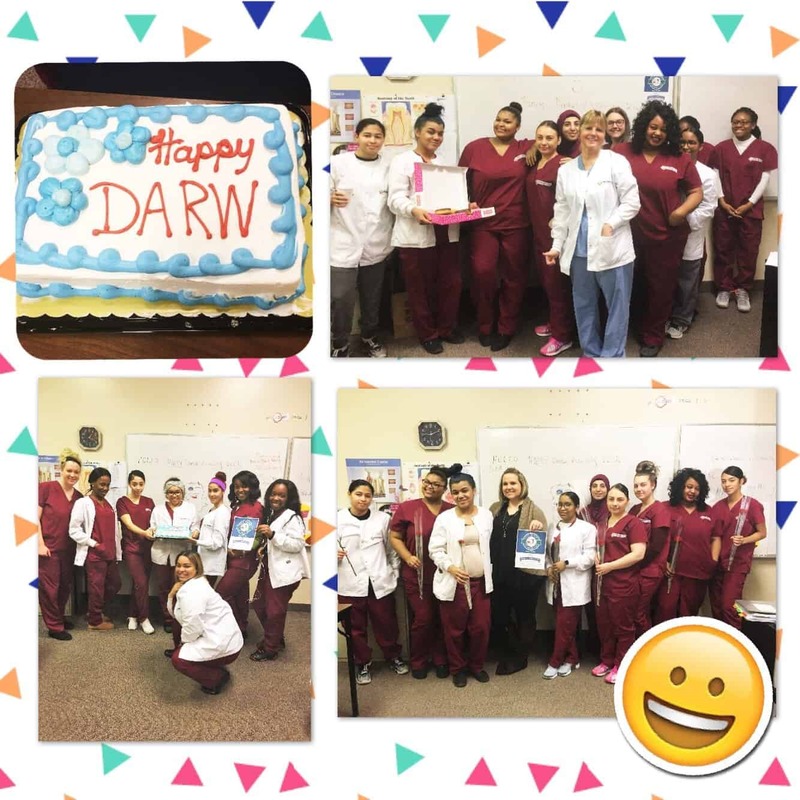 March 3-10, 2018, NJ & CT schools – American Institute campuses in New Jersey and Connecticut spent the first full week in March honoring the contributions and skills of dental assistants as part of the nationwide Dental Assistant Recognition Week, an annual event sponsored by the American Dental Assistants Association. The theme for 2018 was “Advancing the profession through collaboration and leadership,” acknowledging the growing importance of dentistry’s role in health care and the role dental assistants play in helping provide patients with quality dental care. Dental Assistant Recognition Week showcases how this career field continues to diversify and expand. Whether working chairside with the dentist, taking x-rays, managing the business side of the dental office, teaching or working in insurance or sales, dental assistants are vital to the success of today’s dental practice.